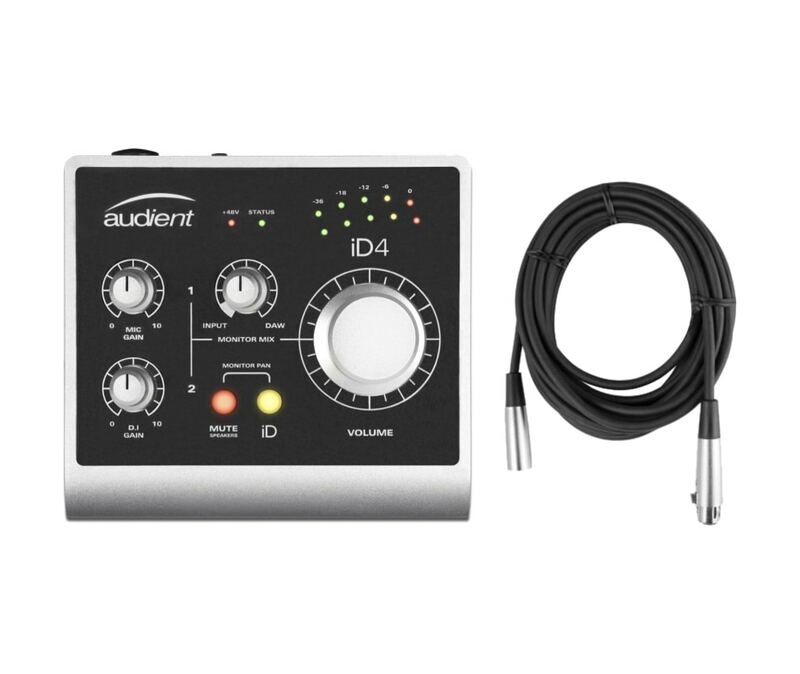 iD4 delivers the audio performance of a large format console in a portable desktop package enabling you to record your vocals and guitar simultaneously. Providing one renowned Audient console mic pre, class-leading converter technology, dual headphone outputs, console style monitor control, JFET D.I and their virtual scroll wheel technology 'ScrollControl', iD4 is a professional but affordable solution for your home studio or for when you're on the road.Audient is the only company that use the same Class-A mic pre design throughout their entire product range, whether you're in the studio with an Audient console or on the road with iD4, you're always guaranteed the same world class Audient sound.iD4 provides you with high performance AD-DA converters. Quality in the analogue stages of design comes from years of experience as analogue console designers, and when coupled with outstanding converter technology it enables you to hear audio as it's supposed to sound. 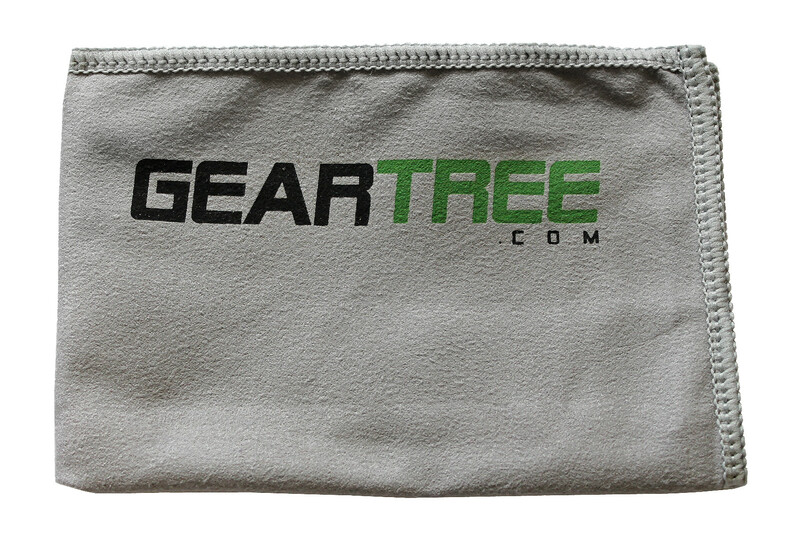 The importance of converters should never be underestimated. Experience audio the Audient way. 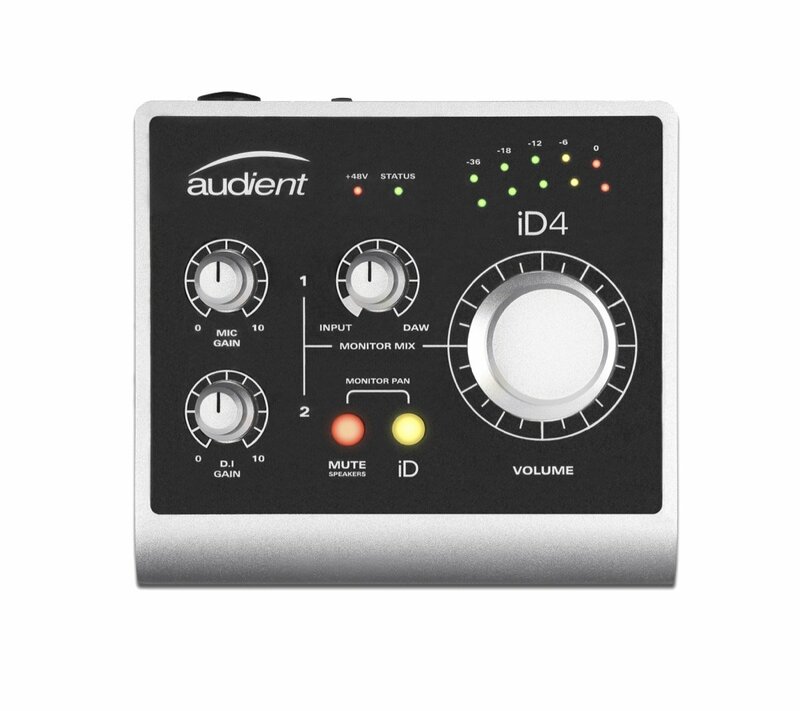 iD4 delivers the audio performance of a large format console in a portable desktop package enabling you to record your vocals and guitar simultaneously. Providing one renowned Audient console mic pre, class-leading converter technology, dual headphone outputs, console style monitor control, JFET D.I and our virtual scroll wheel technology 'ScrollControl', iD4 is a professional but affordable solution for your home studio or for when youre on the road. 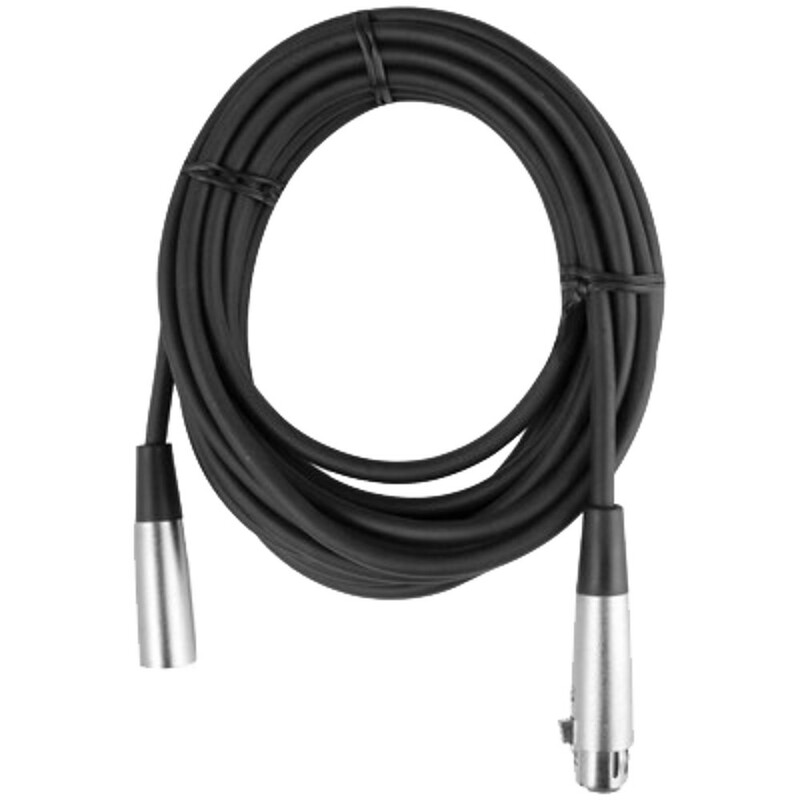 We are the only company that use the same Class-A mic pre design throughout our entire product range, whether youre in the studio with an Audient console or on the road with iD4, youre always guaranteed the same world class Audient sound.